Sometimes referred to as information architecture, content planning is process of planning your website where content should be included in a site, where it should go, how it should be accessed, and monitoring of the content after posting. Planning your content before the construction of your website will save you a lot of headaches down the road by ensuring that the flow of the website makes sense and that all of the content is easy to find by both visitors and search engine bots. 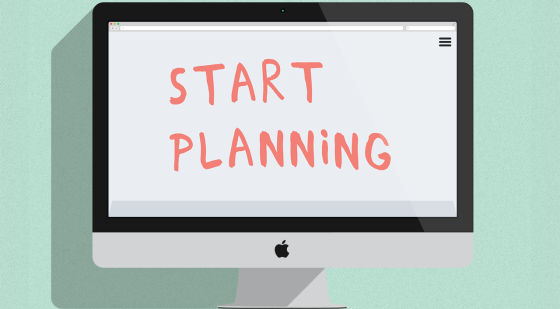 Here are a few helpful tips for getting your content organized before a site launch. Before you can get your content organized, you need to have your content in the first place! Get a whiteboard, blackboard or even a piece of paper and write down any and every piece of content that you think you will need. Don’t worry about limiting yourself at this point, get all of your ideas down on paper and we will focus them coming up. Once you have all of the content you think you will want, the next step is to get all of that content organized. In addition to getting your content in order, it is important that you start to narrow down your content and eliminate content that either doesn’t fit or is not necessary. Less is more for website content. Visitors want the information they are looking for and they want it fast. One of the marks of a great website (and of the biggest things Google secretly looks for when indexing sites for search results) is lots of fresh content consistently uploaded to the site. This means when planning your content, your site architecture must be designed in way that will allow your business to get new content on the website in a simple and timely fashion. At Arzo Enterprises, we understand that content is the backbone of a strong website. With our packages, we allow you to create your own content or we can take care of the entire process for you! E-Commerce websites, while being a highly-effective tool for selling goods and services, are not always the easiest thing to run. Consumers tend to be very picky when it comes to browsing and buying online. This means it is extremely important for your business to have all of your bases covered online when it comes to your e-commerce website. 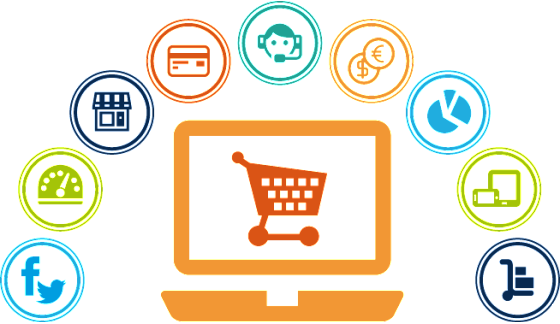 The following tips are some of the main pieces of an effective e-commerce website that consumers will be looking for. The biggest factor of your website that will either pull consumers in or drive them away is the design of your website and the ease of navigation. Design should be simple yet elegant with colors that complement each other, font sizes that are easily read, images that mach the content on the page, and annoying/distracting animations should be left out. Nothing is more frustrating buying online than having to jump through a million hoops in order to actually purchase your products. Consumers want to quickly buy their products, have various methods of payment available and have their products shipped as soon as possible. Consumers love personal touch from businesses they buy from. Even something as small as a follow-up email making sure everything was satisfactory with their purchase is enough to stand out from your competitions. Some other ideas can include offering discounts to previous customers, following up with newsletters and sending product suggestions. Any little bit will help. Successful products don’t often stay at the top for long. What usually happens is that they follow a life cycle, from introduction to the point where they are overtaken by newer, better alternatives. If you understand where your product is in its life cycle, you can market it in a way that will maximize sales. When you introduce a product, for example, you need to invest in promotion to build awareness (such as free samples) and target your marketing at people who influence others to buy. As the product’s popularity grows, sales will increase and your unit costs will go down. But competitors will emerge to grab a share of the profits to be made. Your marketing objective will now be to maintain and increase your market share – for example, by improving your offer and making it more widely available. Your sales will peak and competition will heat up as the product reaches maturity. At this point, stressing the way your offer differs from your rivals’ can help you maintain margins and market share. Finally, sales will fall as new products emerge. At this stage, you should focus on controlling costs and boosting efficiency. Delivering the right products or services at the right cost with strong marketing support will ensure you’re competitive. To stay competitive, you’ll need to keep your offer fresh – that means keeping up with trends in your market, emerging technology and refinements to existing products.